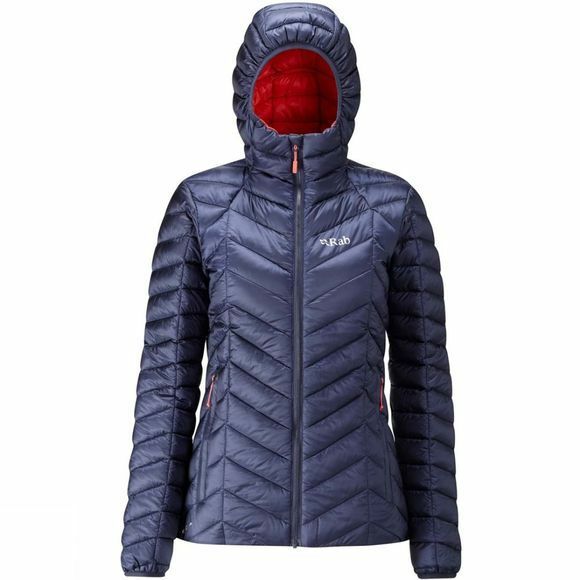 The Women's Nimbus Jacket from Rab offers excellent warmth in cold, damp environments. The Pertex Quantum outer fabric offers excellent protection from the elements while the Cirrus insulation will keep you warm and toasty. The hood of the jacket will sit over or under a helmet for great versatility while zipped pockets are great for stashing small essentials. The left zipped hand pocket can be turned inside out to create a stuff sack for the whole jacket when its stored away. An ideal piece of kit for the outdoors, no matter what your favourite activity is, you'll find this comes in handy.